To provide homeowners the most accurate representation of color options, several photo scans and house shots were utilized in various lighting conditions. 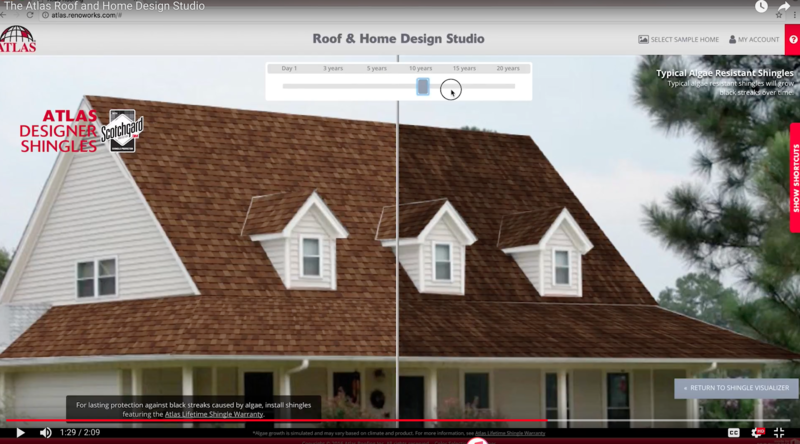 Variations in lighting illustrate the color gradients on asphalt shingle roofs. Color blends vary from shingle to shingle. Before installation, consult with your contractor and request to view the actual shingles being installed on your roof to ensure confidence in your final color selection. Core4™ Technology is the most innovative development in asphalt shingle manufacturing. Ask your insurance agent about discounts on your homeowners insurance when you install UL 2218 Class 4 Impact Resistant StormMaster® shingles. Protect the investment in your home against severe weather with the Atlas 130 mph Wind Limited Warranty*. 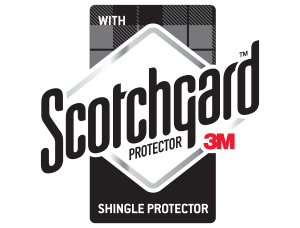 Atlas shingles featuring Scotchgard™ Protector help prevent ugly black streaks caused by algae. Your home is the biggest investment you will ever make. You want to protect that investment by using quality materials and the best installation practices. 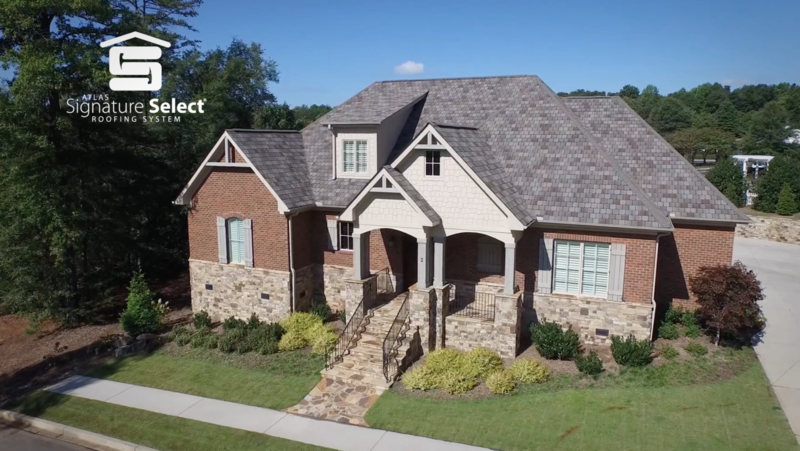 When you choose Atlas shingles with Core4™ Technology, you can be sure that you are sheltering your family beneath the longest-lasting, most durable shingles in the industry. withstand winds up to 130 mph. For maximum protection and warranty coverage, install an Atlas Signature Select® Roofing System with components designed and backed by an Atlas Warrant. Don't let the black streaks caused by algae ruin it. Atlas designer shingles with Scotchgard Protector help prevent black streaks caused by algae, keeping your roof looking beautiful for years. ATLAS ROOFING CORPORATION (“ATLAS”) warrants to you, the original owner of its shingle products, that this product is free from any manufacturing defects that materially affect the performance of your shingle during the Premium Protection Period or that cause leaks for the balance of the applicable warranty period. ATLAS warrants that its shingles featuring Scotchgard™ Protector (those with the “featuring Scotchgard™ Protector” designation) will remain free of obvious and unsightly discoloration due to algae growth. For complete details, please see the Atlas Limited Shingle Warranty. Your ATLAS shingles qualify for a limited warranty when properly installed in accordance with the product’s application instructions (as provided on the product packaging). * In order to qualify for the Atlas Lifetime Algae Resistance Limited Warranty against black streaks caused by blue-green algae, installation must include Atlas Pro-Cut® Hip & Ridge shingles featuring Scotchgard™ Protector or Atlas Pro-Cut® High Profile Hip & Ridge shingles featuring Scotchgard™ Protector with Atlas shingles featuring Scotchgard™ Protector. ** Refer to the Atlas Roofing Limited Shingle Warranty for all coverage requirements. IMPORTANT: THE STATEMENTS EXPRESSED ON THIS PAGE ARE THE RECOMMENDATIONS FOR THE APPLICATION OF THE ROOFING PRODUCTS AS OUTLINED AND ILLUSTRATED. 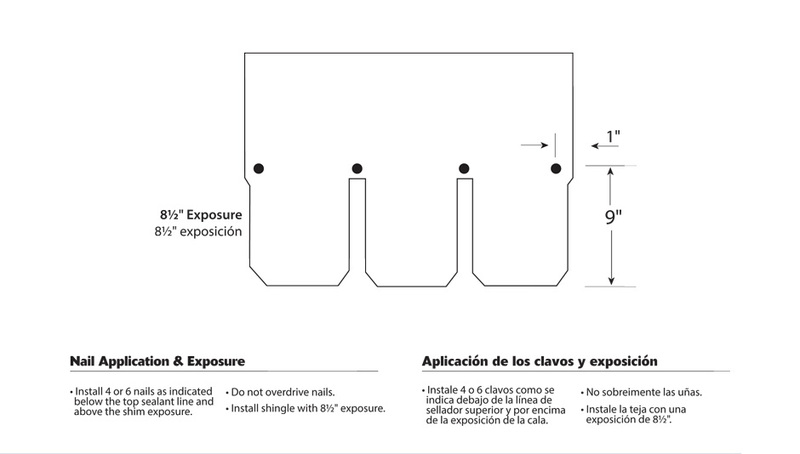 ANY DEVIATION FROM THESE RECOMMENDED PROCEDURES SHALL BE AT THE SOLE RISK OF THE INSTALLERS. FAILURE TO FOLLOW THESE INSTRUCTIONS MAY RESULT IN SERIOUS DAMAGE TO THE APPLICATION AND LIFE OF THIS ROOFING PRODUCT, RESULTING IN THE TERMINATION OF ANY WARRANTY, EXPRESSED OR IMPLIED. The lifetime limited warranty option is only available for individual single-family site built detached residence. A 50 year limited warranty would apply to all property owned by government agencies, corporations, limited liability companies, partnerships, trust, religious organizations, schools, or school districts, condominiums, or cooperative housing arrangements, or installed on apartment buildings or any type of building or premises not used by individual homeowners for a single family site built detached residence. These StormMaster Slate shingles are warranted against manufacturing defects and wind gusts up to 130 MPH WITH STANDARD 4 NAIL INSTALLATION. The StormMaster® Slate Limited Warranty can be obtained by visiting www.AtlasRoofing.com/Warranty, or by writing to: Atlas Roofing Corporation, Attn: Consumer Service Department, 802 Hwy 19 N., Suite 170, Meridian, Mississippi, 39307. 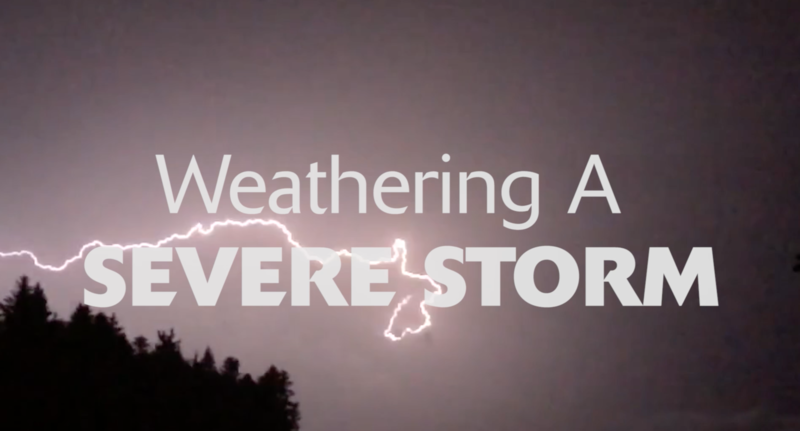 The following instructions must be followed to qualify for protection under the StormMaster® Slate Limited Warranty. Important: See special instructions below for Low Slope Applications. See special instructions below for Steep Slope/Mansard/6 Nail application. To obtain stated area coverage and to achieve design performance and appearance, the directions on this package must be followed. Sealing of the adhesive strips on each shingle to the shingle beneath is created by heat from sunlight. 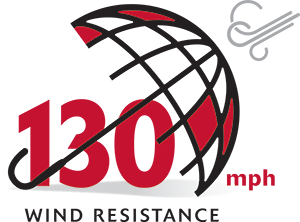 Atlas Roofing Corporation also endorses the Asphalt Roofing Manufacturers Association’s (ARMA) recommendations for application details not specified within this text. DO NOT INSTALL STORMMASTER® SLATE OVER EXISTING SHINGLES- START WITH A CLEAN DECK, COVERED WITH APPROVED UNDERLAYMENT. 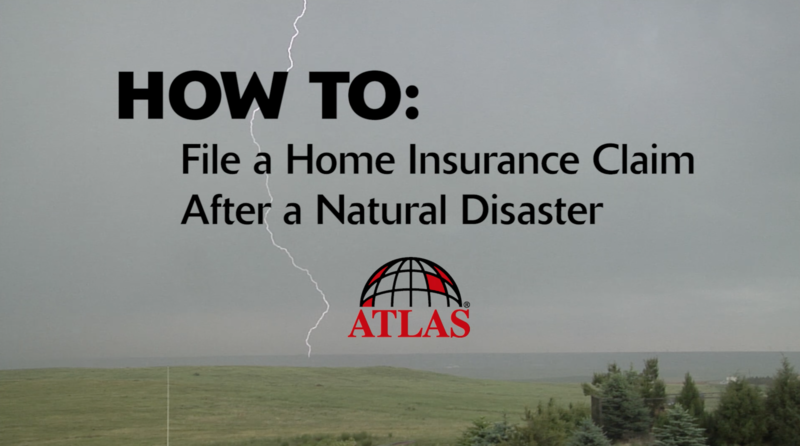 Atlas will not be responsible for damage to shingles as a result of inadequate ventilation. Ventilation provisions must meet or exceed current FHA Minimum Property Standards and conform to all building codes and regulations. To best ensure adequate ventilation and circulation of air, a combination of vents at the ridge area and eave areas should be used. All roof structures, especially mansard and cathedral type ceilings, must have complete flow through ventilation from eaves to ridge. FHA Minimum Property Standards require 1 square foot of net free attic vent area for every 150 feet of attic floor area; or one square foot per every 300 square feet, if vapor barrier is installed on the warm side of the ceiling, or at least one half the ventilation area is provided near the ridge. These instructions are for the application of Atlas asphalt shingles to nominal 7/16" thick American Plywood Association (APA/TECO) rated, code approved plywood, OSB decks or minimum 3/4" actual thickness wood decks. The plywood or non-veneer (OSB) decks must comply with the roof deck specifications of APA/TECO. Solid wood decking must be well seasoned, not over 6" (nominal) width, and fastened securely to each rafter. The deck surface must be clean, bare, gap free and flat. 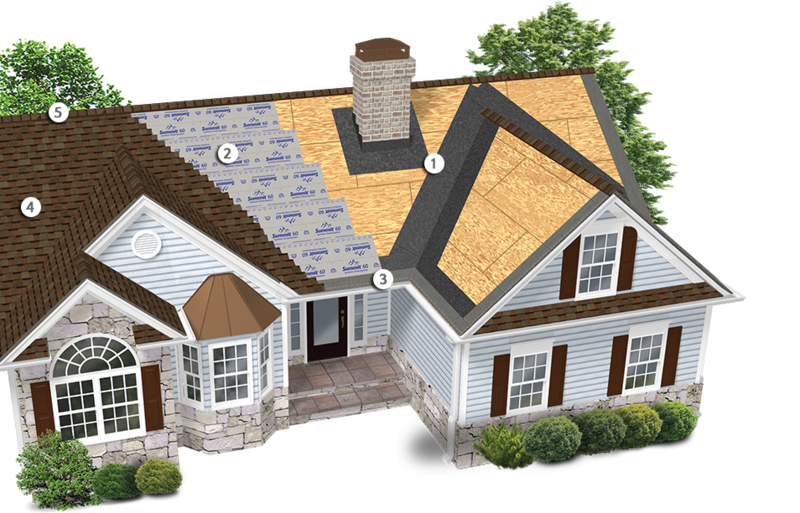 Atlas shingles must not be applied to any surface other than roof deck types described here. Atlas also honors its Shingle Limited Warranty when Atlas shingles are installed on the Atlas CrossVent® Nailable Insulation panels. Atlas will NOT be responsible for the performance of its shingles if applied directly to non-vented, insulated decks composed of perlite board, plastic foam, fiberboard, gypsum plank, lightweight concrete, cementitious wood fiber, or similar materials or to any decks with insulation installed directly to the underside of the decking, with the exception of CrossVent® Nailable Insulation. Spray foam insulation applied directly to the bottom of the decking will void the warranty. 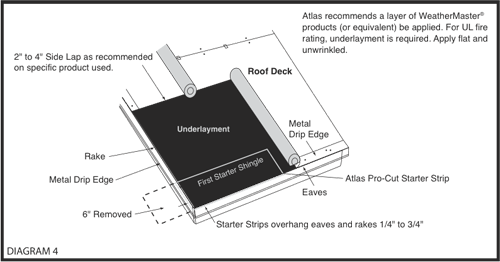 Atlas shingles may be installed over a roof system containing a radiant barrier material if: 1. the required full, flow through ventilation is maintained directly under the decking material in all cases, 2. the radiant barrier material is highly vapor permeable ( > 2 perms), and, 3. the radiant barrier is installed on the underside of or below the decking – not used as an underlayment above the decking. Spray-on types of below deck vapor permeable radiant barriers will be considered only on a job by job basis, and only if tests confirm > 2 perms or greater vapor permeability. 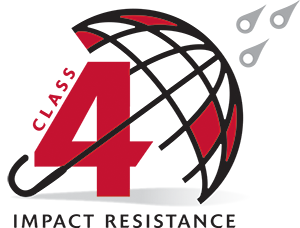 Atlas highly recommends the use of high performance, ASTM 6757 compliant - Gorilla Guard® or Summit® proprietary underlayment products for long term roof system performance and WeatherMaster® Granular, self-adhering, waterproofing underlayment for critical areas, such as valleys and eaves. Atlas does not approve the use of any self-described, metalized or metal containing category of “Radiant Barrier”, as an asphalt shingle underlayment installed above the deck. Use of these types of radiant barrier would void the shingle warranty. Underlayment must be applied flat and unwrinkled. Building codes vary with geographic areas, and the installation must comply with local building codes or shingle manufacturer’s requirements, whichever is stricter. Shingles should be applied as soon as possible after the application of organic underlayment felt, which is not intended for prolonged exposure. Atlas recommends that the shingles be applied the same day as the felt underlayment application to avoid wetting and wrinkling. 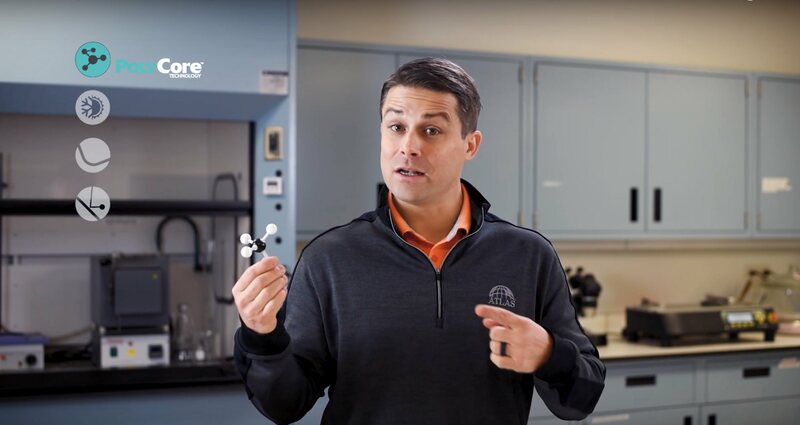 If an underlayment is used for prolonged dry-in, Atlas recommends Summit® Synthetic Underlayment as the dry-in underlayment, for up to 6 months exposure. Standard Slope Application: Proper application requires that a single layer of minimum approved underlayment be applied to decks with slopes of 4” per ft. or greater and consistent with all applicable building codes. This approved underlayment is a required roof assembly component to maintain a Class A fire rating of the deck assembly. Install underlayment over the entire deck, parallel to the eaves, overhanging 1/4” to 3/8”, with fasteners placed 2” from the deck edge, 12” O.C. across the lower edge and with 2” overlap parallel to eaves and with 4” min. end lap, parallel to the rake. Underlayment end laps shall be staggered 6 feet apart from the adjacent courses. Corrosion-resistant drip edge should be placed over the underlayment at the rake and beneath the underlayment at the eaves. Low Slope Application: 2:12-4:12 (51mm/305mm) on slopes of 2" to 4" rise per foot, a double layer of approved underlayment over the entire deck surface is required. Starting with a 19" wide strip at eaves and overhanging the eaves 1/4" to 3/8", cover the first 19" course with a full 36" wide strip. Expose the first course 17" and continue up the deck with 36" wide strips, lapping each course 19" over the preceding course - providing a 17" exposure. End laps for low slopes shall be of at least 12" overlap and staggered 6 feet apart. Install drip edge over the underlayment at the rake and beneath the underlayment at the eaves. WeatherMaster® Granular is highly recommended as the underlayment for Low Slope (2" in 12" to 4" in 12") to cover the entire deck prior to installing shingles. All flashing should be in place before, or as shingles are installed. Cap flashings of sheet metal and base flashings of metal or mineral surfaced roll roofing should be used at vertical surfaces such as chimneys, skylights, vents, walls, etc. All flashings should be sealed with asphalt plastic cement. Consult the Residential Asphalt Roofing Manual published by the Asphalt Roofing Manufacturers Association (ARMA) for details concerning specific methods and types of flashing installation. Individual step flashing pieces should be at least 2" longer than the weather exposure of the shingles. Eave and rake edge waterproof flashings must be installed per local building codes and where there is a possibility of icing along the eaves and rake edges causing a potential for ice damming and a backup of water. Atlas’ WeatherMaster® Granular Underlayment, or equivalent must be applied directly over the decking according to application instructions provided with the product, and local building codes. The waterproof flashing material must extend up the roof at least 24" beyond the interior warm wall line, and in areas of severe icing, at least up to the highest water level expected to occur from ice dams. If the overhang requires flashing wider than 36", the horizontal lap must be located on the overhang area and cemented or sealed. End laps must be 12" (minimum) and cemented/sealed. WeatherMaster® Granular Underlayment, as supplied by Atlas, is recommended as the first layer of Ice Dam Protection. 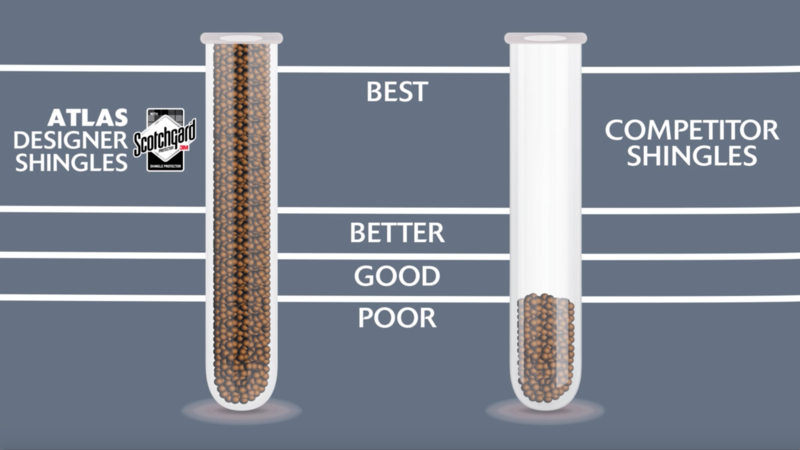 WeatherMaster® Granular Underlayment conforms to ASTM D-1970. Valleys must be installed before StormMaster® Slate shingles are applied. Open Valley: Over felt underlayment or WeatherMaster® Granular Underlayment apply a 36” wide mineral surface roll roofing (with granular side up) or smooth roll roofing centered in the valley. Install 16” wide minimum copper flashing (or equivalent) also centered in valley. Secure the copper flashing every 24” along both edges either with copper cleats or large head copper nails with the shanks immediately adjacent to the copper edge. Overlaps in the copper must be a minimum of 12”. Strike chalk lines on each side of the copper valley 3” from the center line. As shingles are applied, trim them to chalk lines and, to direct water into valley, cut 2” diagonally off upper corner of shingles adjacent to chalk line. Set valley edge of each shingle in a 3” wide band of asphalt plastic cement meeting ASTM D-4586 and nail no closer than 6” from valley center line. See Diagram #1. 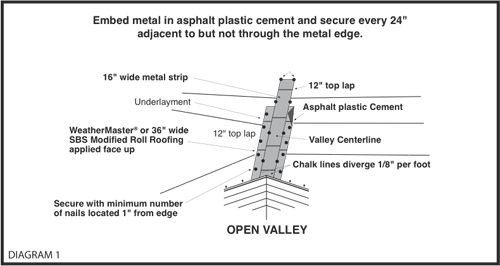 Closed Cut Valley: Over felt underlayment or WeatherMaster® Granular Underlayment, apply a 36" wide mineral surface asphalt roll roofing (with granule side up) or smooth surface asphalt roll roofing centered in the valley, nailing 2" from outer edges only. 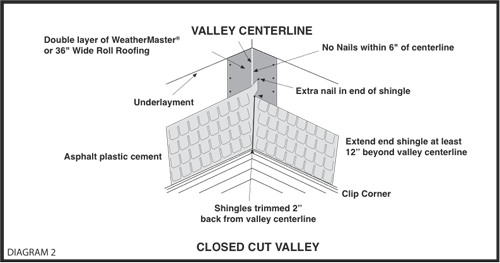 Apply all shingles on one side of valley and across center of valley, a minimum of 12". 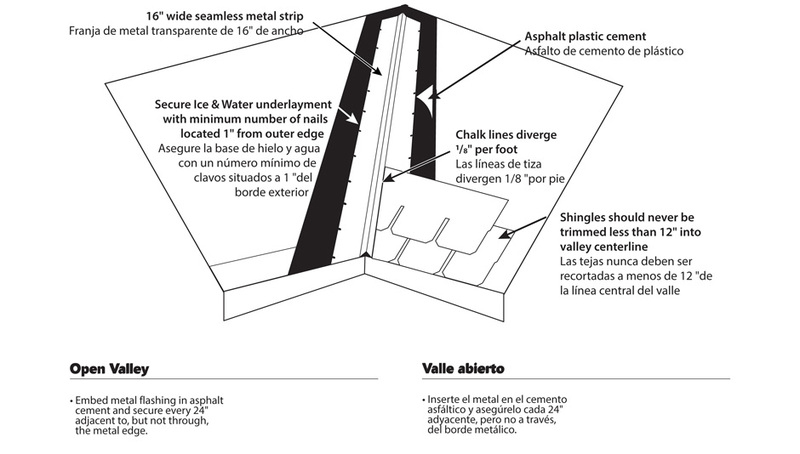 Nail a minimum of 6" away from the center line of the valley on the unshingled side and strike a chalk line 2" from the center line on the un-shingled side. Apply shingles on the unshingled side up to the chalk line and trim. Do not cut the underlying shingle. Cut upper corners of the shingle, cement and nail. See Diagram #2. Placement of nails is critical to overall performance. High nail placement will result in loose shingles after application. All nails must be driven straight with the heads flush to the shingle surface, never cutting into the shingle. Nails must not be exposed (visible) on the finished roof. 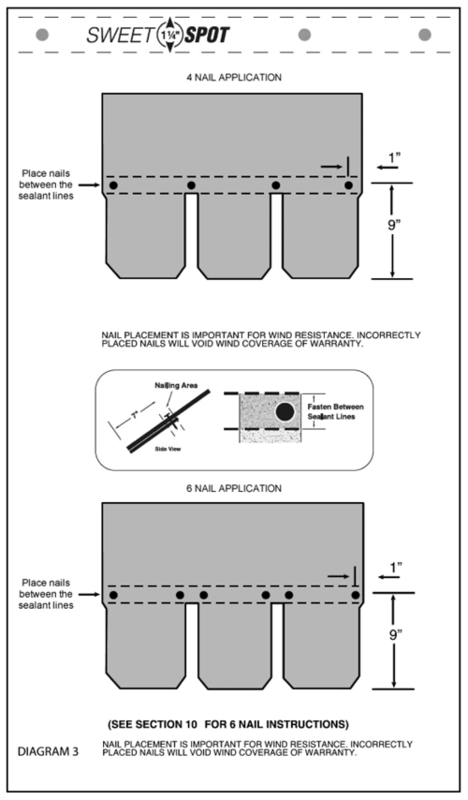 FASTENERS: Nails must be 11 or 12 gauge corrosion-resistance roofing nails with 3/8" minimum head. Nails must be long enough to penetrate the roof deck 3/4" or if the deck is less than 3/4" thick, the nails should be long enough to penetrate fully and extend at least 1/8" through the roof deck, or minimum of 1-1/4" long. Nails may be placed in the sealant line, and anywhere between the dual sealant lines. NEW ROOFING APPLICATION (first shingle layer): 4 nails are required per shingle. 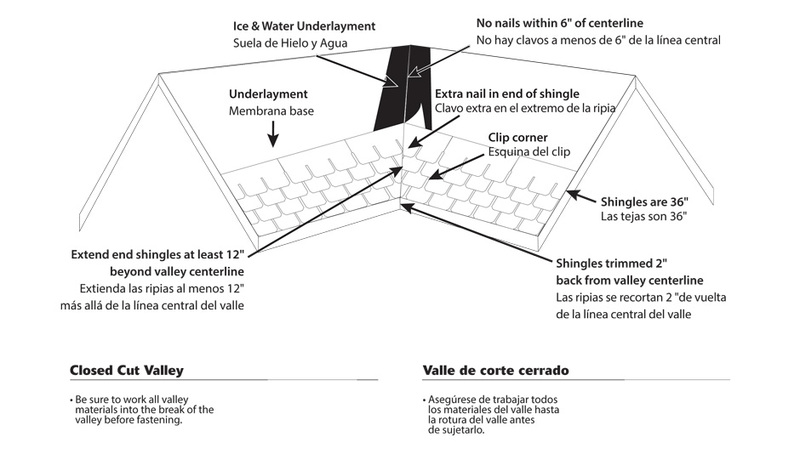 The nails are to be located 9" - 10 1/4" up from the bottom edge of the shingle,with one nail placed approximately 1" from each side of the shingle, and the remaining two equally spaced between the two outer nails as illustrated in the diagram. NAILS MUST BE A MINIMUM OF 1-1/4" LONG. See diagram #3. Prepare deck with saturated felt underlayment, drip edges and flashings as recommended. 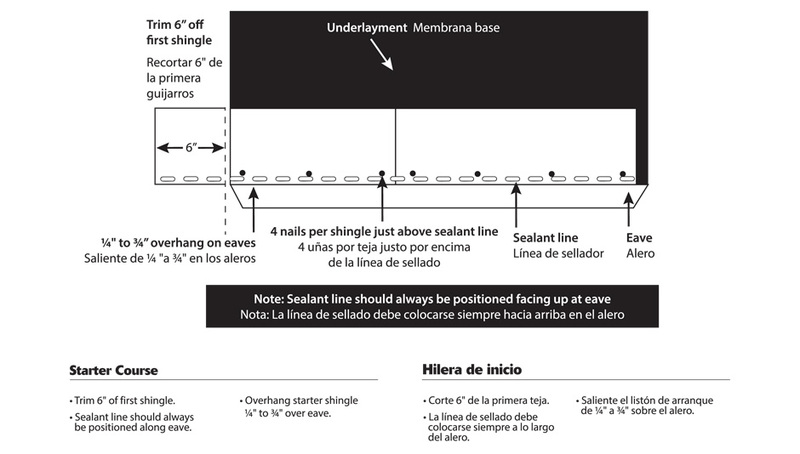 Horizontal and vertical chalk lines should be utilized to ensure proper shingle alignment from eave to ridge. Starter Course: Use PRO-CUT® STARTER STRIP (Pro-Cut® Starter Strip is REQUIRED for the Signature Select Roofing System.) Install minimum 10 1/2" wide Pro-Cut® Starter Strip (8.5X or 10X) over underlayment – at eaves – with sealant strip positioned adjacent to decking edge. First Course: Start with a full shingle placed even with the bottom edge of the starter course and the rake edge. Place fasteners 9” up from the bottom and spaced per Diagram #4. Continue across the eave edge with full shingles. Second Course: Cut the shingle in half (1 1/2 tabs) and repeat first course. Continue fastening per Diagram #5. Third Course: Repeat first course with a full shingle to start at the rake edge. Fourth Course: Remove 1-1/2 tabs from the left end of a shingle and apply it over and above the third course shingle, flush with the left edge of the rake leaving 8 1/2" exposure. Immediately upon application to slopes exceeding 45 degrees (or 12” in 12” slope), apply six (6) quarter size spots of asphalt plastic cement under each shingle (2 per tab). All six spots are to be approximately 1” up from the bottom edge of the shingle and spaced equally across the shingle with the two outer spots located 1” in from each outer edge. The cement should not be exposed when shingles are pressed into position. Excessive use of roofing cement can cause shingles to blister. To prevent cracking in cold climates when applying to hips and ridges, shingles must be sufficiently warm and flexible. Separate the Pro-Cut® Hip & Ridge shingle into three equal pieces along the perforated lines provided. Apply Atlas Pro-Cut® Hip & Ridge shingles with a 5 5/8" exposure, beginning at the bottom of the hip or from the end of the ridge in the direction opposite of prevailing winds. (See special requirement section #11 for 130 mph High Wind Application.) Use two nails per shingle, as specified under Section 8–Fastening, with one nail on each side, 6" back from the exposed end and 1" up from the edge so succeeding shingles conceal nail heads. Trim final shingle to fit and set in plastic cement. See Diagram #6. When installing ridge vents follow vent manufacturer’s instructions. The direction of the exposed end of the ridge shingle should be away from the prevailing wind. 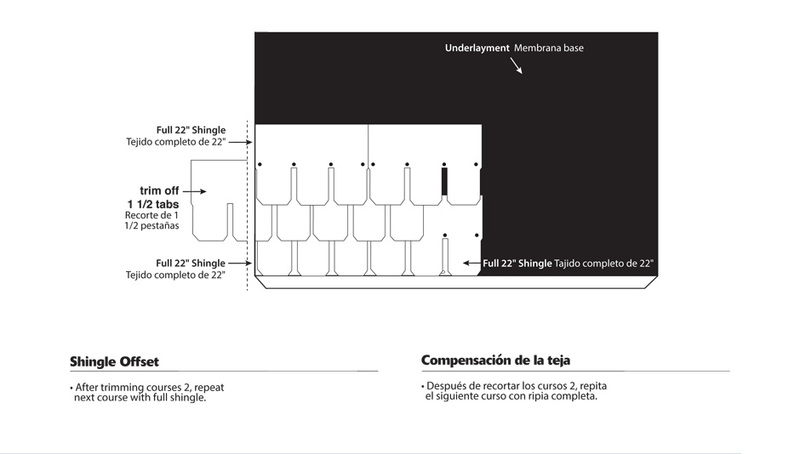 One bundle of shingles will provide approximately 31 lineal feet of ridge coverage when applied in accordance with these instructions. Atlas does not approve re-roofing over any existing shingles when installing the StormMaster® Slate product. IMPORTANT: MINIMUM STANDARD SLOPE REQUIREMENT NOT LESS THAN 4 INCHES PER FOOT. LOW SLOPE REQUIREMENT NOT LESS THAN 2 INCHES PER FOOT. WARNING: Roofing application can be dangerous. All necessary precautions and safety guidelines should be observed in accordance with proper roofing trade practices. Every effort should be made to keep roof traffic to a minimum. Regular roof maintenance should be performed in the cooler parts of the day. Important Precautions: Store on flat surface. Protect from weather during storage and on job site. Sealant protection tape is placed on the back of each shingle and does not have to be removed before applying. DISCOLORATION: Some shading or variations in the colors may occur due to positioning or embedment of the granule. When asphalt shingles are packaged, they are under a certain amount of pressure due to weight. Minor staining may occur. While in storage, they may also pick up varying amounts of backing material used to keep the shingles from sticking together. These discolorations are temporary and are removed by natural weathering. DO NOT MIX WITH MATERIAL BEARING DIFFERENT COLOR NAME OR OTHER PRODUCT SIZES ON THE SAME ROOF. Complete the form below and we’ll have a contractor in your area reach out to you. Your request has been sent to contractors in your area. Be sure to tell them which Atlas products interest you.